Unbiased and commercially independent consultant at Niemeyer Operations Analysis and Associate Senior Fellow of the IT for Security Department and its two centres - the Centre for Security and Defence Management and the Joint Training, Simulation, and Analysis Centre. Experienced analyst in the field of security, defence and operations planning and follow-up support on the basis of neutrality and highest scientific standards; many years of experience in national and international organisations, projects, workshops and seminars in senior functions. Member of the Editorial Board of Information & Security: An International Journal. Klaus Niemeyer was born in Germany. He studied at the Physikalisch-Technische Lehranstalt in Lübeck and Hamburg, graduating as Diplom-Ingenieur in Technical Physics in 1963. During this period he also worked in industry, primarily with Entwicklungsring Süd, in the computing area. Upon graduation Mr Niemeyer moved to Boelkow Entwicklungen KG in Ottobrunn, near Munich, where he worked as systems analyst in a team of US and German scientists, initiating German Operations Research activities for the federal Ministry of Defence. Mr. Niemeyer has had a long and distinguished career in Military Operations Research, Simulation and Computer Applications. In 1965, he joined the Industrieanlagen Betriebsgesellschaft mbH (IABG) in Ottobrunn with other German members of the above-mentioned team, and helped establish the Systems Analysis area at IABG. In 1966, he was assigned to US/GE advanced V/STOL-fighter assessment at the Wright Patterson Air Force Base in Ohio. As Project Leader he evaluated and analysed airborne and airbase systems. In 1969, Mr Niemeyer was appointed head of a group working on optimal airforce structures. In this role he developed and operated the first German computer-assisted exercise in 1970. This formed the basis for establishment of the IABG Wargaming Centre, of which Mr Niemeyer was appointed Chief in 1972. 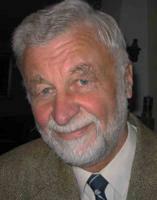 In this position, Mr Niemeyer initiated development of several concepts, models, approaches and solutions to assessment and evaluation of force structures, and helped initiate international programmes such as the US/German European Conflict Analysis Program (ECAP), and the Joint Simulation (JOSIM) Project. He has been responsible for many national and international studies in the areas of weapon system assessments, air and army structures, command and control, force effectiveness comparisons, arms control, conflict research, operational support, long term defence planning, logistic planning, war gaming, exercises, and information systems support. Mr Niemeyer became Chief Scientist and Director of the Operations Research Division at the SHAPE Technical Centre (now NCI Agency) in May, 1992. In this position he was the principal advisor on scientific matters and military operations analyses that affect SHAPE and Allied Command Europe. He was responsible for the development of the Allied Deployment and Movement System (ADAMS), the Defence Requirements Review (DRR) and the High Level Exercises among other projects. Mr. Niemeyer retired from NATO in April 1999 and now works as a consultant for industry and defence agencies. He developed concepts and software for crisis exercises and supported seminars and workshops in South East European Countries within a team of the Institute for Defense Analyses (IDA), sponsored primarily by the George C. Marshall European Center for Security Studies. As NATO project director together with Bulgarian colleagues, he developed a Centre of Excellence on Operations Analyses for the government in Bulgaria.